We know, we know. A holiday is meant to be a chance to genuinely get away from it all – to disconnect, unplug and unwind from the stresses of modern life. But we also appreciate that sometimes you want paradise that’s ‘just-remote-enough’, not ‘so remote that I haven’t seen another human for three weeks’. With this in mind, we’ve picked out a few islands that satisfy two criteria: 1.) idyllic, paradise-like looks, with an untouristy feel and 2.) a connection to the world outside of it. Yes, you can have both. Yes, we’ll meet you there. Thanks for asking. 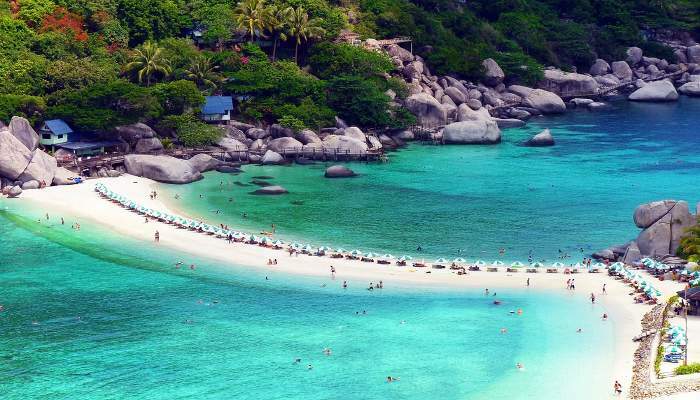 Only an hour from Bangkok, Koh Samui and the surrounding islands are the bit of tropical Thailand that time (and the crowds) seem to have left alone. To get a feel of the place, watch The Beach, the Leo film set on the dreamy Thai island of Phi Phi, which was a stand-in for Koh Samui! The mountainous interior of Koh Samui remains largely jungle. and its coast is strung with fishing villages, Buddhist temples and thousands of coconut palms that provide the island’s primary export. Motorbike and boat are still the main ways to get around the island, and there’s always that backdrop – endless azure ocean. 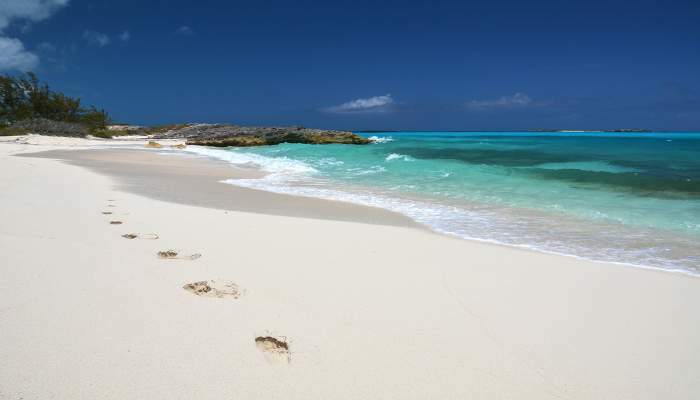 gorgeous white sands – you know the rest. You get the best of both world’s of Koh Samui – whilst it certainly feels like a desert islands in parts still, there’s still plenty of connection to the outer world, with a good internet connection, plenty of direct flights to the far busier island of Bangkok (from where you can catch a direct flight straight back to the UK – if you really want to) and Phuket. No, not all our chosen islands are on far-flung and exotic shores. Hvar is Croatia is a haven (a hvarven?) of pretty old stone homes, gorgeous vineyards, fields of lavender and beautiful beaches. It can certainly give the Caribbean a run for its money in the aesthetic stakes – and it’s not too far from home! Winner. Nestled just off Croatia’s beautiful Dalmatian coast, Hvar isn’t paradise in the endless-white-sands kind of way you might expect. 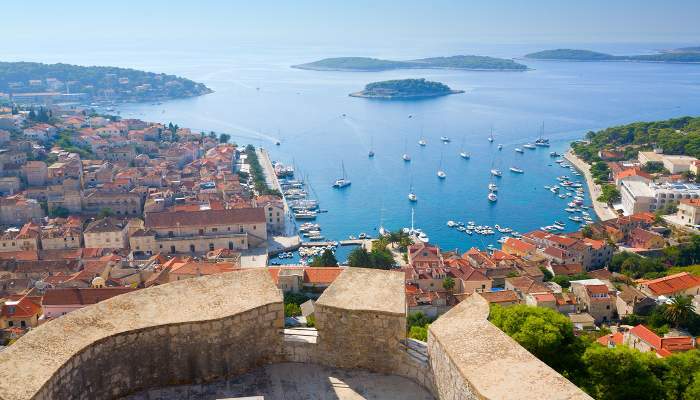 But what Hvar does share with the other islands may surprise you: With an average of nearly eight hours of sunshine per day and water temperatures that hover around 70 degrees for at least half the year, it has one of Europe’s best climates! This one’s easy. It’s in Europe, for a start, so you know you’re never too far from civilisation – perish the thought! Plus Dubrovnik, one of Europe’s most stunning Renaissance cities – is only 30 minutes by high-speed ferry, should island living prove intolerable. (Clue: it won’t.) There’s a great internet connection on the island, too, with free WiFi available in most cafes and restaurants. One of the less visited Bahamas, Exuma manages to maintain a slow pace of life despite the fact that it’s a mere 250 miles from Miami. “Old-school Bahamas” is a tag for this collection of 365 cays stretching 120 miles and anchored by two main islands, Great Exuma and Little Exuma. There are no high-rises to obstruct ocean views (nothing is higher than two stories), just clapboard cottages painted pink, yellow or blue. It’s the Bahamas, silly! It doesn’t really get more paradise-y than this endless stretch of beautiful islands, coves and archipelagos.Exuma really is paradise in its most obvious sense of the word – the water is bath-temperature, the sand purest white and the local life more or less untouched by the brash knuckles of tourism. Other Out Islands are easily accessible and Nassau is 25 minutes by air. It’s a 90-minute flight to Miami or Fort Lauderdale – perfect for if you like the idea of being close to the US mainland. Plus the island has managed to establish a good internet connection over the past few years despite its relative remoteness. Whilst certain parts of it have gained popularity in recent years with a certain breed of booze-hunting backpacker, Bali still remains very much paradise-on-earth. From tranquil, spiritual Ubud to glamorous Seminyak, and the endless stretches of beach that makes up its enviable coastline, Bali has something for every visitor. If you can avoid the more tourist-trodden trail (see: Kuta) then you’ll find all the makings of a true paradise. It’s ticks all the classic paradise boxes, like beautiful beaches and a relaxed, tranquil atmosphere, but it’s also interesting, spiritual and ripe with a fascinating history just waiting to be explored. 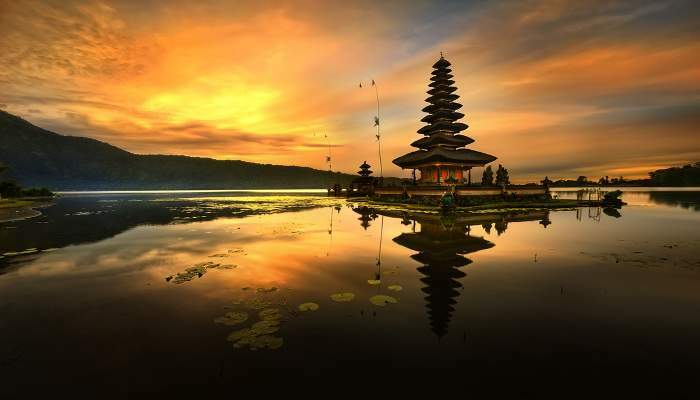 Over the years, Bali has amassed an impressive expat community. That means that there’s a great internet connection and plenty of people to seek advice from should you need it.